The impact theory was suggested in 1980 by physicist Dr. Luis Alvarez (1911-1988) and his son Walter (b. 1940), a geologist. 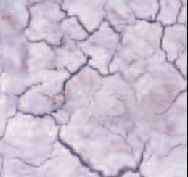 They discovered the thin layer of iridium-enriched clay that is evidence of an asteroid strike. If the impact theory of dinosaur extinction is correct, life on Earth must have suffered a catastrophic blow at the end of the Cretaceous Period. Yet although all the big dinosaurs, flying pterosaurs, and marine reptiles died out, many other types of animal lived on into the Tertiary Period. The reason for their survival is still uncertain. They may have been protected by their biology or their habitats, or the extinction may have been a much more ■»Hf gradual, selective process. 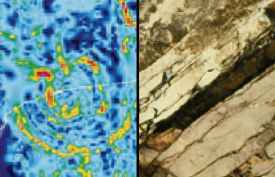 Either way, the survivors were the ancestors of the animals that live on Earth today. 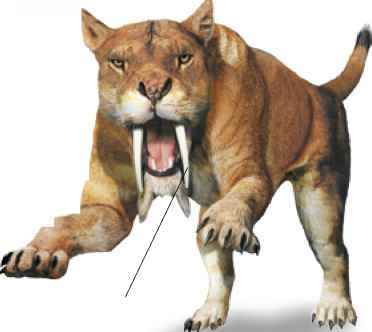 Mammals had existed throughout the dinosaur era, but they were small, probably secretive creatures. 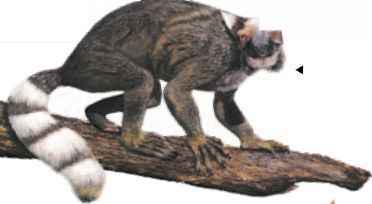 Many forms were eliminated in the mass extinction, but some survived and started evolving into a much wider variety of species, including early primates like this Plesiadapis. Many of the mammals that lived alongside the dinosaurs were marsupials, or pouched mammals. Relatively few survived the catastrophe, but those that did gave rise to spectacular species like Thylacosmilus, a fearsome hunter that lived about 6 million years ago. 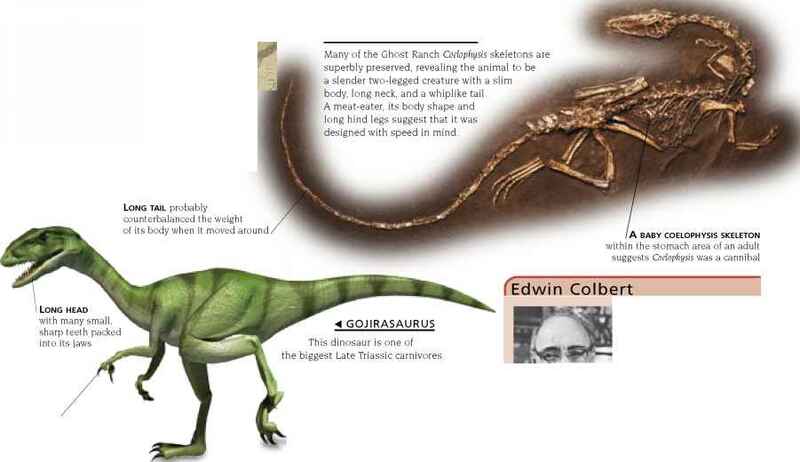 There is evidence that the ancestors of birds were carnivorous dinosaurs like Velociraptor. If so, then these "feathered dinosaurs" lived on after the extinction. Some evolved into giant, flightless hunters such as this Titanis, which stood 8 ft (2.5 m) high. 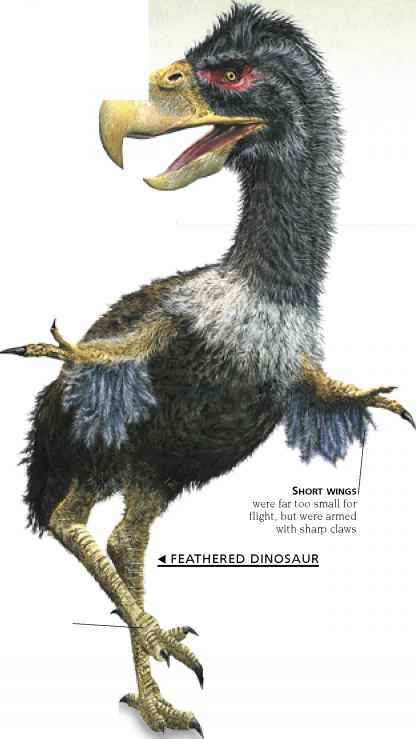 It lived 2 million years ago, and probably hunted by running down its prey and killing it with its huge hooked beak.